Twenty C# Questions Explained: (12) How do I get the index of the current iteration of a foreach loop? Play Twenty C# Questions Explained: (12) How do I get the index of the current iteration of a foreach loop? Demonstrate how to obtain the iteration of a foreach loop. 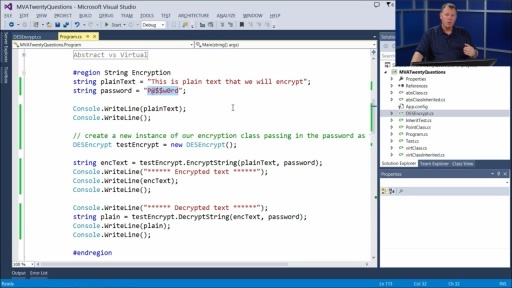 Twenty C# Questions Explained: (11) How do I encrypt/decrypt a string in .NET? 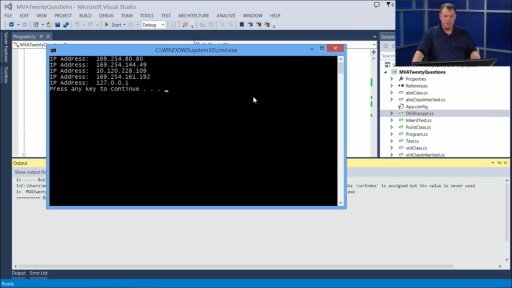 Twenty C# Questions Explained: (13) How do I get my own IP address in C#?